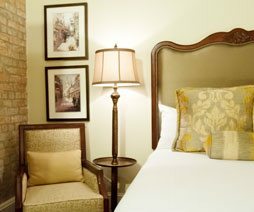 The French Market Inn, one of the best hotels in New Orleans, Louisiana, is tucked away on the banks of the Mississippi River in the center of the French Quarter of New Orleans. 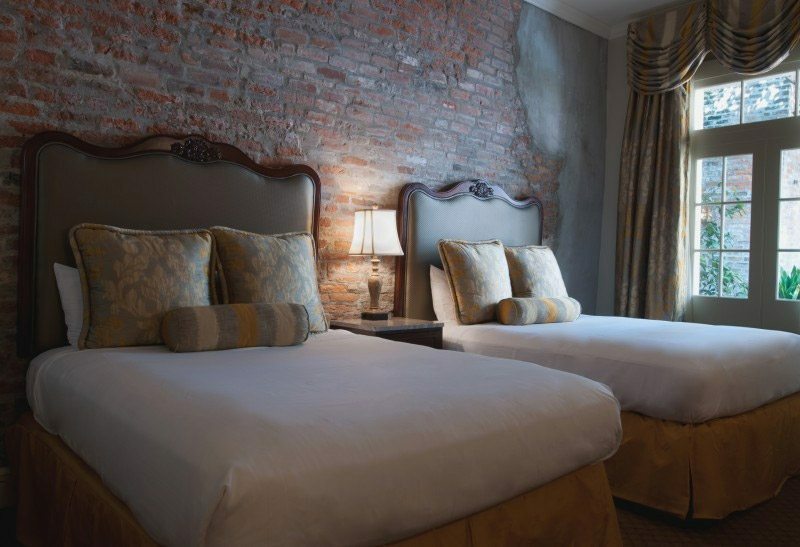 This French Quarter hotel on Decatur is within six blocks of renowned New Orleans attractions like Jackson Square, the French Market, Aquarium of the Americas, Bourbon Street, and Harrah’s New Orleans Casino. 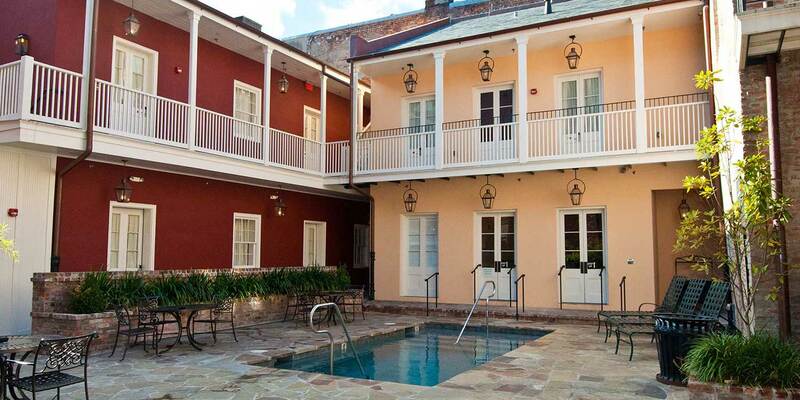 The historic French Market Inn is renowned for its meandering garden and stone paved courtyard. 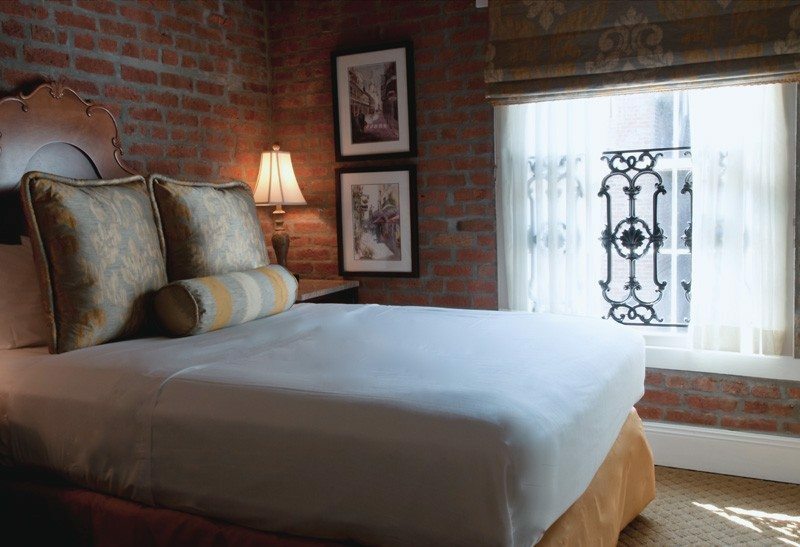 Its antique brick facade opens onto a lobby adorned with period paintings, chandeliers, and columns. 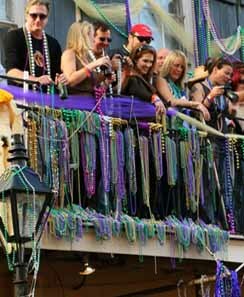 Take advantage of The French Market Inn specials, group rates, and best rate guarantee for greater savings to spend on New Orleans famous French Quarter cuisine and enjoying the nightlife of Bourbon Street. The original property deed was issued to a baker named Dreux in 1722. 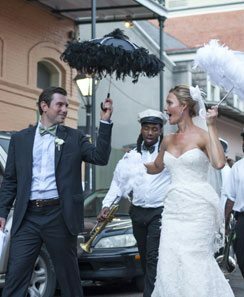 Shortly after, the Dreux family opened up a shop on the ground floor and used the second floor for family living. The third floor of their property was used to store imported and exported goods. Wagons and carriages would drive through the archways in the courtyard to deliver goods and to pick up deliveries. 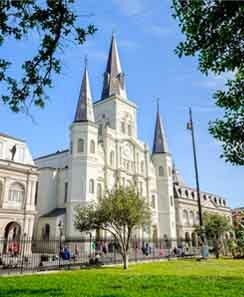 The bakery often supplied the Colonial Spanish, and later, the Colonial French Soldiers, who were stationed at the Place d’Armes (present day Jackson Square). 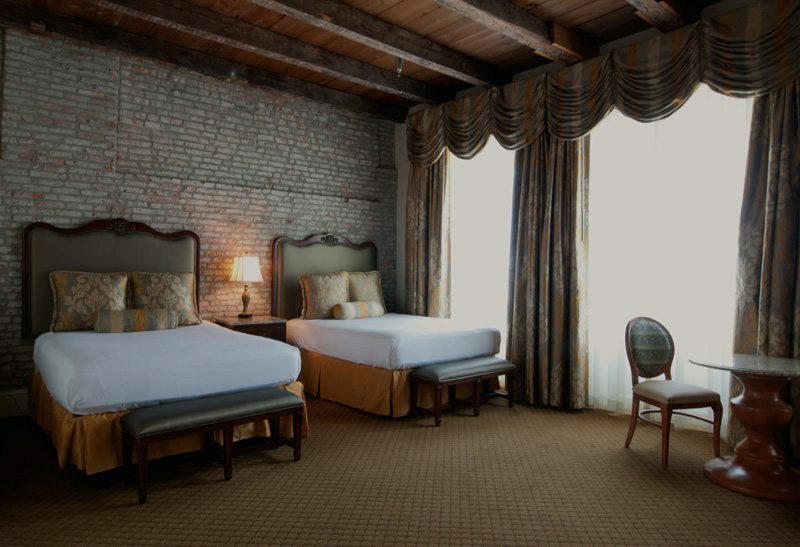 In the early 1830’s, the Baroness Pontalba y Almonaster purchased the Dreux’s bakery and the surrounding lots with the idea of opening an Inn for friends and business associates. 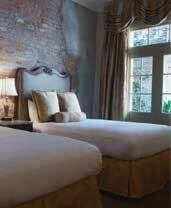 The Inn opened and was well received by both the local Creole families and many visitors to the Cosmopolitan City of New Orleans. Soon after, in 1832, the first hauntings were recorded. 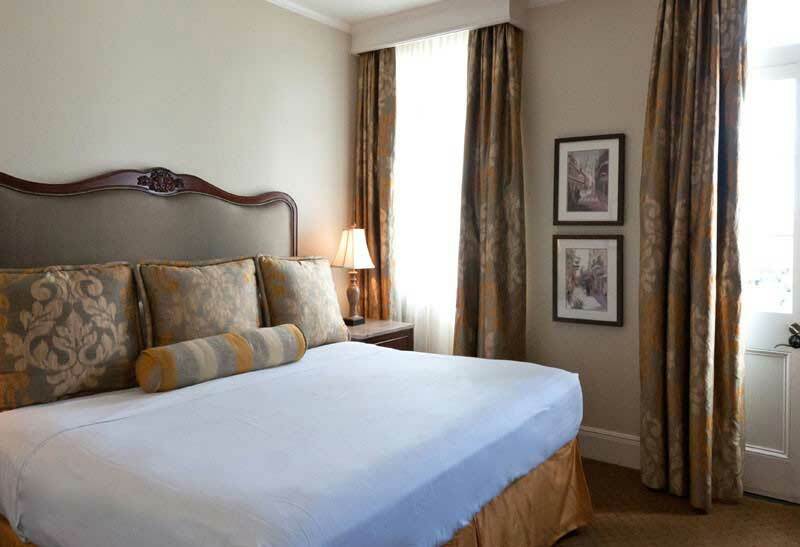 Guests claimed to see misty shapes entering the rooms of the Inn after dark and heard loud metal noises echoing throughout the halls – reminiscent of the old pulley system the Dreux’s bakery used to hoist their goods to the upper levels back in the 18th century. 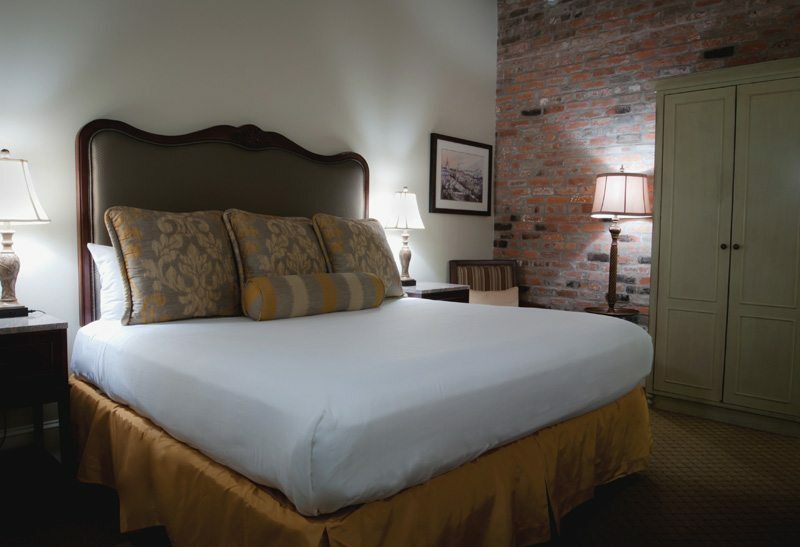 The Lowest available rate on our website! 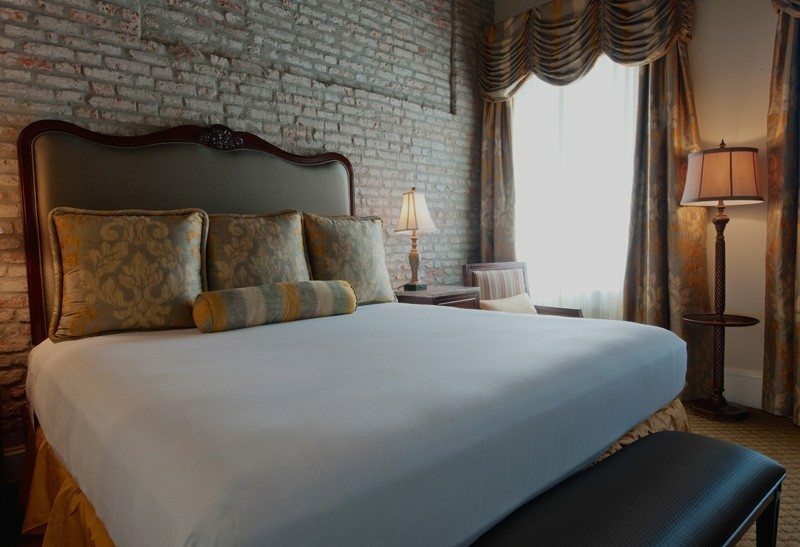 The French Market Inn, a historic New Orleans Hotel, invites you to take advantage of super discounted weekday rates. Receive even deeper discounts when you prepay in advance! 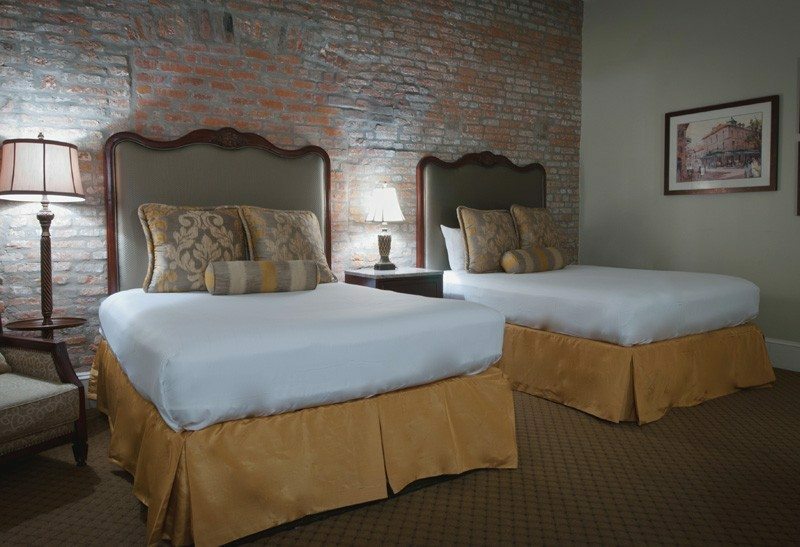 If you find lower rates on your French Market Inn Hotel room(s) at the time of booking, call 1-800-366-2743 and we will match the rate.